Sample contains an unidentified chemical. 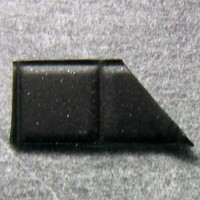 The unidentified peak was not present in gel LSD sample analyzed previously by EcstasyData. Unidentified substance may be from carrier material? [11/30/2018 CORRECTION] This sample was originally notated as having been sourced from Vienna, Austria, that was an error. The sender did not specify location besides Dallas, TX. 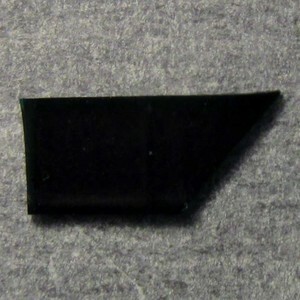 Opaque black gel tab sample. 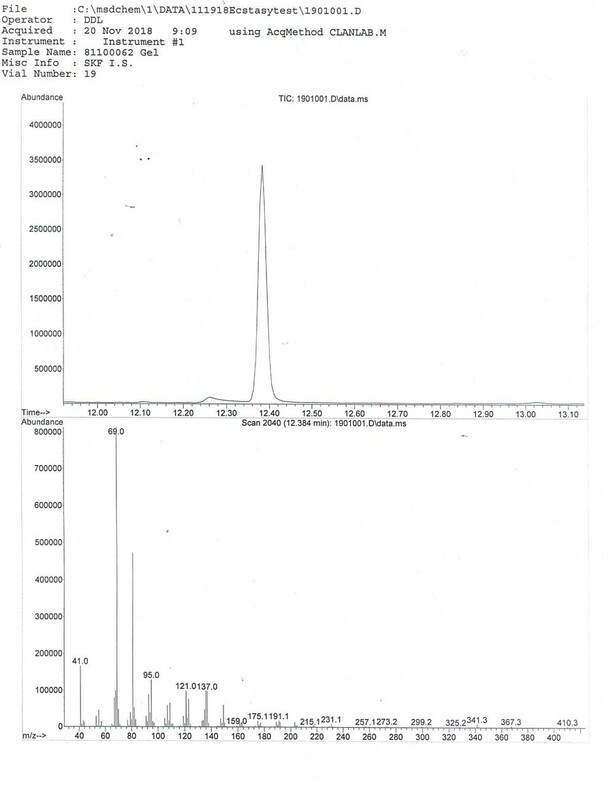 Sender comments that sample was 'Tested with Ehrlich reagent [before sending]. Results: Brown'. 11/28/18: The lab figured out a satisfactory procedure for the reagent testing, photo shown (left). 11/26/18: The lab is working on the reagent test reactions for this sample. The medium makes reagent testing more complicated. 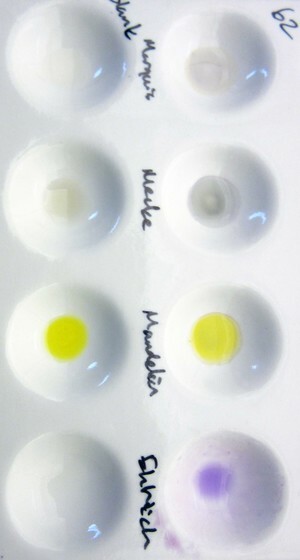 It may not be possible to yield useful colors, because the pH conditions required to dissolve the gel affect the reagent even when dried. This sample contains an unidentified chemical. We do not have a matching substance in our lab's internal database and have not yet been able to confirm the chemicals' identity by using outside sources. We need the help of outside expert analytical chemists and drug geeks to determine what substance matches the mass spectrum (MS) fingerprint. 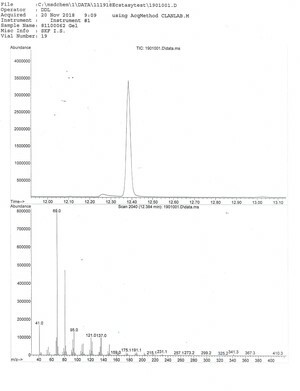 The lab's GC/MS output graphs can be viewed by clicking on the thumbnails on this page. Please use our contact form and include the EcstasyData ID (6813) or this URL along with any communications.